Welcome to the Freeola Internet customer support pages. 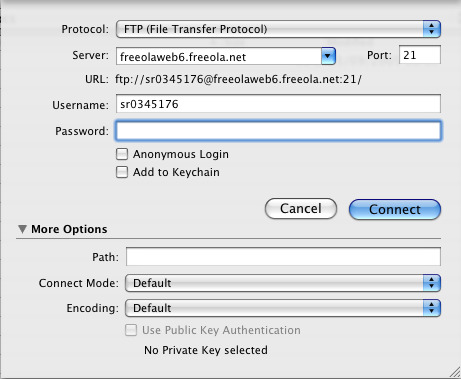 This guide is designed to help with uploading your website via FTP using Cyberduck for Mac for any Freeola hosted website. For more internet help topics please visit our main Support Page. In order to upload files to any Freeola hosted website you will need to access your FREE webspace via FTP. Most, if not all, web design programs feature an element of FTP uploading but it is always advisable, and more stable, to upload using one of many FTP clients available. This page gives brief instructions on one of these, Cyberduck. 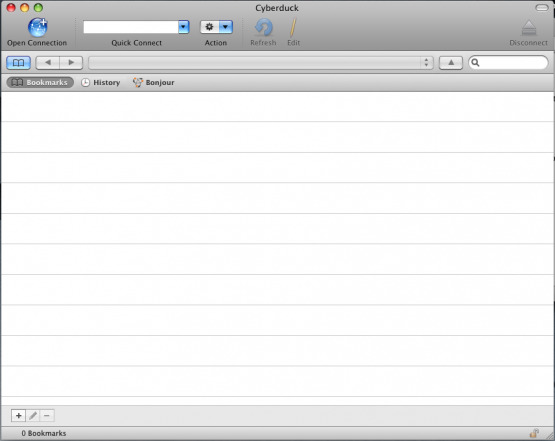 Cyberduck can be downloaded from Apple. 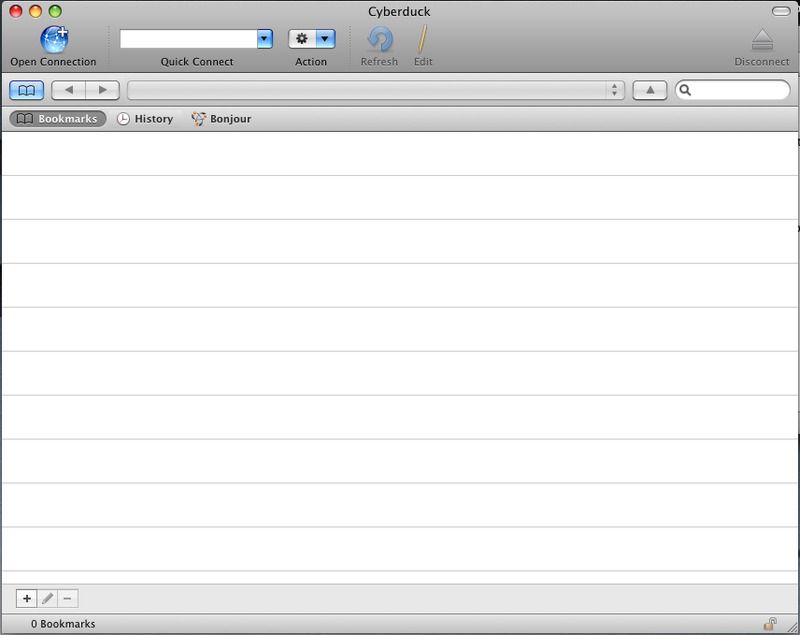 Once open the Cyberduck window will resemble the screen shot below. Select Open Connection from the top left-hand side of the window. This brings up a dialog box as shown below. 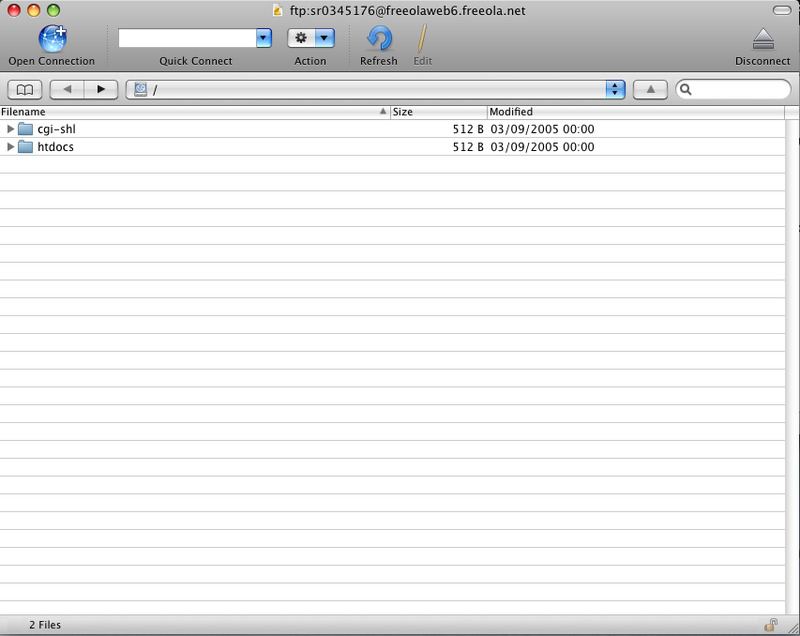 You will now need to enter your Freeola FTP details which you can find in your MyFreeola Control Panel. Server: This will be your FTP Server Address found in MyFreeola. This will be in the form of freeolawebX.freeola.net (vipX.freeola.net for VIP Hosting customers). Username: This is your FTP Server Username found in MyFreeola. Password: This is your FTP Serve Password found in MyFreeola. Once these are set please select Connect at the bottom of the dialog box. This will now create a connection with Freeola's hosting service. 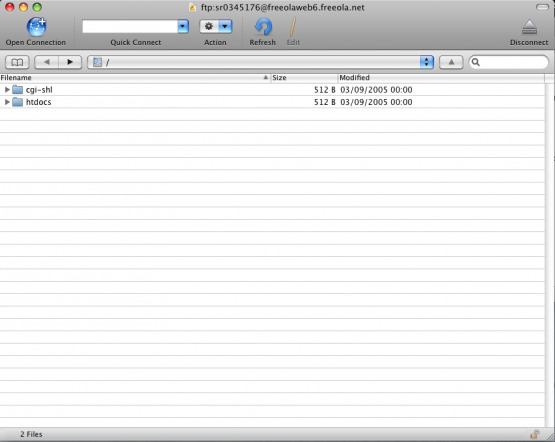 The Cyberduck window will resemble something like the file structure shown below. You can now simply Drag and Drop files into your webspace. Your default page (the first page that people see when they visit your web site address) should be called index.html (or .php for PHP files), this file needs to be lowercase. All files and folders you wish to be displayed on your website need to be uploaded in the htdocs folder.